Players, rather than coaches, are the ones who determine the outcome of big games, insists Pep Guardiola. 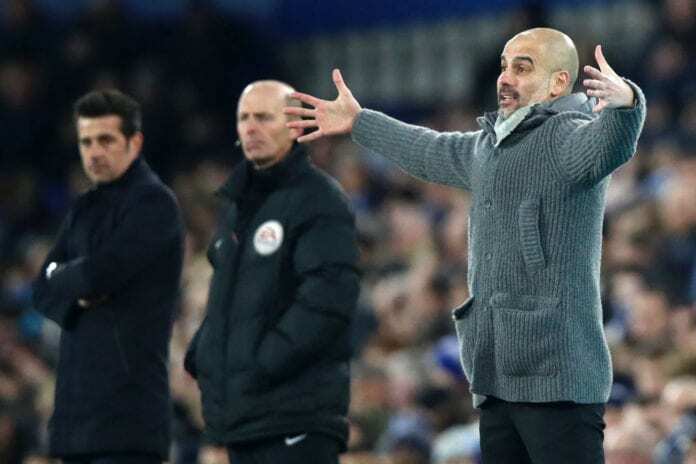 The Manchester City manager is preparing his side for Sunday’s big clash against Chelsea at the Etihad Stadium hoping to grab all three points in order to retain their lead at top of the Premier League. But City aren’t the only ones who have a lot at stake with Chelsea currently in the middle of an intense battle with Manchester United and Arsenal for fourth place in the standings and a spot in next season’s Champions League. Following United’s 3-0 win at Fulham earlier today, Chelsea will likely be extra motivated to respond after slipping out of the top four for the time being. “(It is) not Sarri, Pep, Jurgen (Klopp) or any manager. This game belongs to the players and important games belong to special players,” said Guardiola, according to Sky Sports. The former Barcelona coach defended Chelsea’s run of results under Sarri this season, despite the Italian’s apparent struggles to get the best out of his squad. Previous articleQuiz: How much do you know about the Top 5 leagues?